Celebrity dads Ben Affleck, Tom Cruise, and Gavin Rossdale were out and about this weekend. 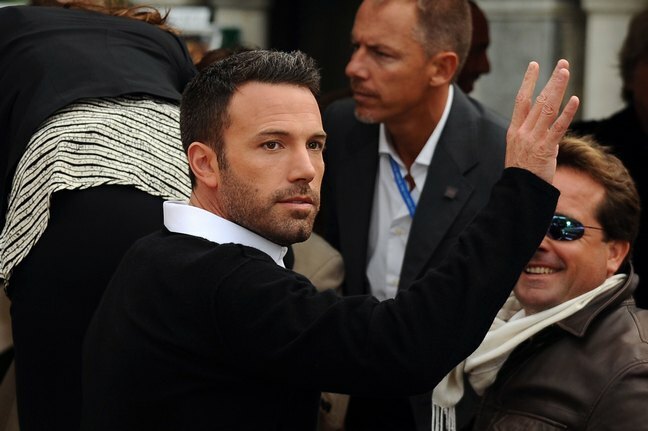 Ben Affleck was spotted attending a photo call at the Venice Film Festival this weekend. He's at the festival to premiere his upcoming film "The Town" with Jeremy Renner. We'll be getting a double shot of Ben on the big screen this fall: "The Town" releases on September 17th and then on October 22nd he'll be starring in "The Company Men". Gavin Rossdale and son Kingston spent some father/son time together in NYC yesterday. Kingston was sporting his freshly painted Spider-Man face and carrying a balloon figure. Tom Cruise escorted Katie Holmes and daughter Suri out of their NYC apartment this morning. They were heading over to one of the morning shows where Katie is scheduled to make an appearance. Suri normally hams it up for the paparazzi cameras, but this morning she wasn't too happy to see them.